Treasure Room slots is a very lucrative game that is powered by one of the leading names in the online gambling industry, Betsoft Gaming. The game has a very rewarding theme as it takes players into a Treasure room that is filled with treasure, gold and antiques. The symbols of the game are inspired by the game’s theme. These symbols include a golden red with a green jewel, a treasure box, a treasure map, a sword, a golden coin, a golden helmet, jewels and more. The buttons of the control panel of the game that punters will click on and toggle between in order to place their desired bets are also inspired by the wealthy theme of the game. The buttons all come in the form of sacks filled with golden coins. Players will click on these golden coin filled sacks in order to determine their wagers. This includes choosing the number of coins on every payline that they choose to activate, the lines that they want to activate as well as the number of coins. This produces the betting range of this game that lies between 0.05 & 100 credits per spin. A game that rewarding will have to come with an amazing set of features. For example, the game has a scatter symbol. This scatter symbol is the golden coin symbol. This symbol can trigger a second screen bonus that is called the “Treasure Room Bonus”. 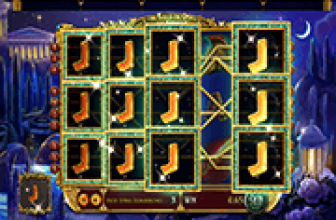 The game also has a progressive jackpot that can be seen at the top of the reels. Players who are able to get five treasure box symbols on an activated line will be able to hit the jackpot and win the progressive jackpot amount. Powered by a leading 3D online slot gaming company called Betsoft, Treasure room is a free slots online casino game that is based on a player trying to seek treasure that is in a treasure room that was recently discovered. The room is an old caves bearing gold and other riches that cannot be easily detected. It is available in online casinos for players in the UK, Canada and Australia. As the player seeks the bars of gold, high-value antiques, priceless rubies and other precious emeralds, there are items provided to assist in the form of symbols. The items include a treasure box, green jewel, sword, treasure map, golden helmet and a gold coin just to mention a few. The entire theme of the game is wealth as almost all items are golden in color. There are four main bonuses in the treasure room free slots game. The first is the usual casino welcome bonus that is not consistent in the various UK, Australian or Canadian online casinos though others offer up to 1000 pounds. Secondly, on a maximum bet for 5 jackpot icons, a player attains a progressive jackpot that is visible on top of the screen reels. Another is the Treasure room bonus whereby three scatter feature items or symbols give a player a second free screen award to play where he/she earns certain bonus prizes. In addition to that, there is an instant credit bonus that can award up to 550 credits in the event that the sword or shield is utilized multiple times. In the game, the sword, compass and calendar icons, if landed by the player on a payline that is active, triggers bonus rounds. 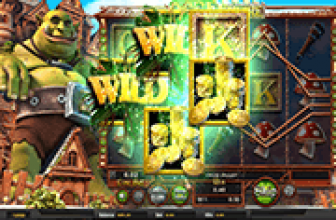 The trick with the game, however simple to play, is to utilize the wild coins as well as the scatter symbols to gain bonus rounds that may help a player reach for the progressive jackpot. This jackpot is the most important and a player must always have it as the main target throughout the entire play. To maximize on the winning, a player needs to be vigilant in each of the bonus rounds. 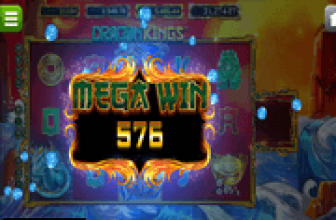 With each win, a graphic animation is played and the minimum bet in dollars is 0.05 and the maximum is 100 for each play. This too, however, depends on the online casino. The control panel buttons are clicked to toggle, placing bets and are all in the form of golden coin-filled sacks that a player clicks on to dictate the bets. To dictate the bet, the player has to select the amount of coins for each payline he/she activates. To be precise, getting 3 or more shield or sword symbols on a payline that is active helps attain an instant prize of up to 5000 coins. In general, winning real money and the option of winning big is complemented by the thrill that all adventurous online casino slots gamers find in playing treasure room. It is a game that one must play or at least try out, just for the thrill. With each win, a graphic animation is played and the minimum bet in dollars is 0.05 and the maximum is 100 for each play. This too, however, depends on the online casino.